The Malaysian government’s move to cancel a China-financed high-speed rail link across the Malay Peninsula raised new questions about Xi’s so-called Belt and Road Initiative (BRI). The cabinet decided the US$20 billion project was “beyond the government’s financial capability,” Economic Affairs Minister Mohamed Azmin Ali said, previewing a move that could be formally announced by next week. The deal’s collapse adds urgency to a debate already growing in Beijing about the potentially US$1 trillion program, the main engine of Xi’s effort to convert China’s economic might into global influence. In recent months, countries across Asia have suspended, scaled back or terminated projects amid concerns over corruption, influence-peddling and rising debt. Xi will have a chance for a reset in April, when he is expected to convene leaders in Beijing for his second BRI summit. In September, the Chinese president promised African nations he wouldn’t pursue “vanity projects,” and last month the country’s top regulator of state-owned enterprises published a report calling for greater “overseas social responsibility” in investments. Scepticism about Beijing’s intentions was fed by a Wall Street Journal report earlier this month that Malaysia was investigating whether China offered to bail out 1MDB in exchange for infrastructure deals. 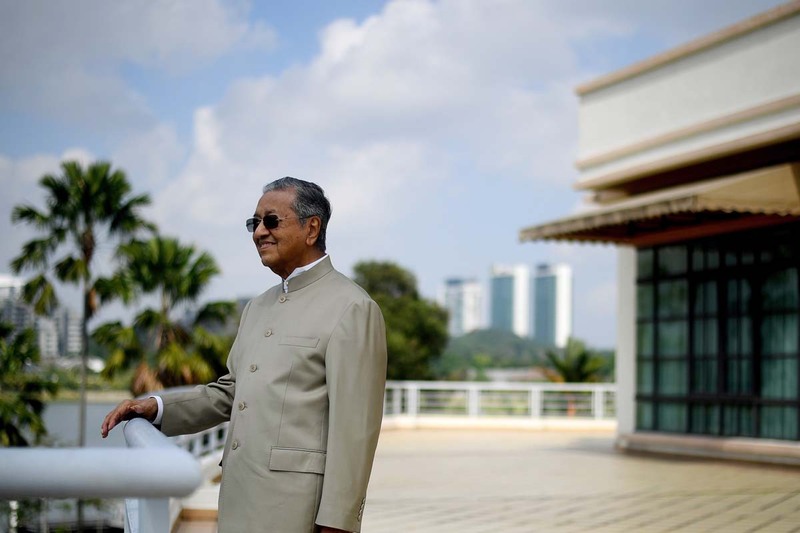 Mahathir struck a conciliatory tone on Tuesday, saying the government’s reason for cancelling the rail was simply a lack of funds. “Concern about its development model, Malaysia’s high debt and allegations of impropriety around 1MDB all weighed on this decision,” said Oh Ei Sun, a senior fellow at the Singapore Institute of International Affairs. Beijing was learning that its model of infrastructure-led economic growth might be difficult to export, Sun said. Nepal, for instance, cancelled and then reinstated a US$2.5 billion dam project after a series of government changes. In Pakistan, the government declined to include a pre-existing US$14 billion dam project in the broader US$62 billion China-Pakistan Economic Corridor, reportedly due to onerous financing terms. U Thaung Tun, Myanmar’s minister of investment and foreign economic relations said the country would scale-down a US$7.5 billion plan for a deep-sea port built by CITIC Group in the town of Kyaukpyu. Thaung Tun told a news conference in the capital Naypyidaw that Myanmar didn’t want to repeat the experience of other countries and build infrastructure without sufficient demand. In a State of Southeast Asia survey released on 29 January, nearly half of respondents suggested that Xi’s Belt and Road "will bring ASEAN member states closer into China’s orbit," a finding the ASEAN Studies Centre said "may have profound implications for Southeast Asia given the region’s concern that China will become a revisionist power." Moreover, places like Southeast Asia may have less appetite for large infrastructure projects than expected. The value of new large investment and construction projects dropped by half to US$19.2 billion in the six largest members of ASEAN last year, the lowest in four years, a Citigroup Inc. analysis found. “China’s overarching geostrategic imperatives suggests it will be incentivised to be more sensitive to ASEAN’s pushback going forward,” Citigroup analysts said. They anticipated that China would show more interest in co-financing projects with multilateral development banks. Like this story? Subscribe to our newsletter !